Recently I got my hands on some of this. 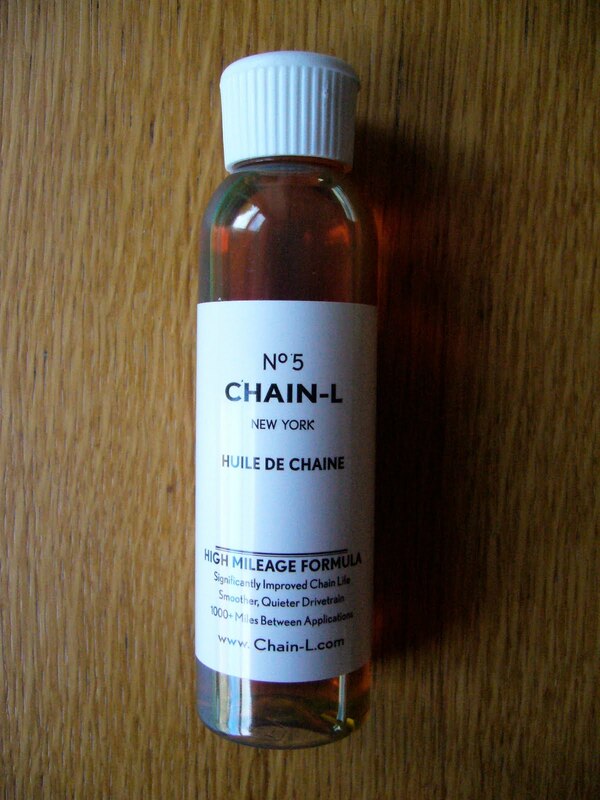 Chain-L chain oil. I’m a fussy bugger when it comes to the cleanliness and general up keep of my bike so I was slightly concerned to be cleaning off my favourite chain lube to be applying this stuff on a simple recommendation. I’m not going to go into some fancy product review because I’m really not very good at it and to be honest if I didn’t like something I would tend to just not bother wasting time writing about it. So, I like it. I’m taking time to write about it because its actually really brilliant. It gives my whole chain drive a really good smooth feel. There is no mess at all, it has a good permanent thickness to it unlike than most of the watery crap I’ve tried lately and is from a small independent company who are just doing their own thing. This is right up my street and it is now happily sitting alongside my LIFELINE SYN LUBE as my chain lubes of choice. I really recommend it. There’s nothing more to say really, apart from the fact that I have 2 extra bottles at home here to give away to the first two people to email me asking for it. You can buy it at Mosquito Bikes up in Islington and also buy it direct from their website. So stop buying all these weird and wonderful products that are rubbish and buy this instead it really works well and is just the sort of product I like.